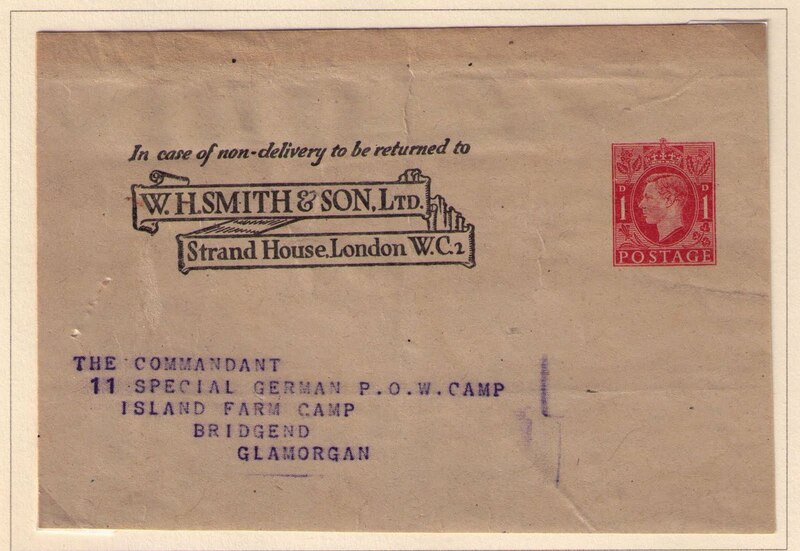 After the war, high-profile German officers were transferred to No. 11 Special German P.O.W. Camp at Island Farm Camp in Bridgend South Wales. Prisoners were detained at the camp while their war-time activities were being investigated or while awaiting trial. Some were to be witnesses at trials or were awaiting extradition. Island Farm Camp closed in 1948, when the last prisoners were returned to Germany. 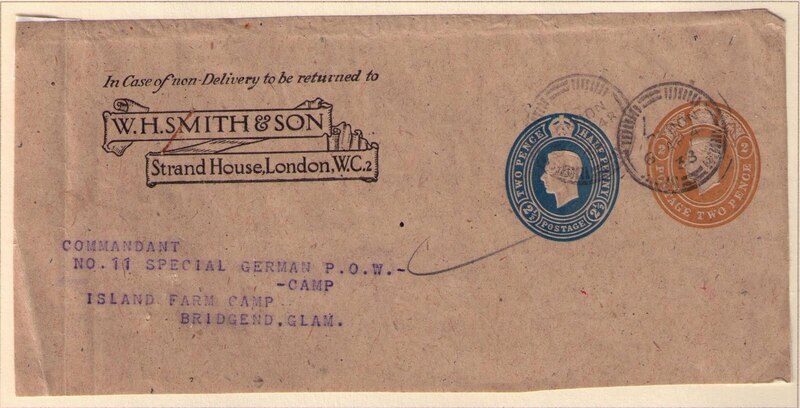 Undated to "11 Special German P.O.W. Camp"